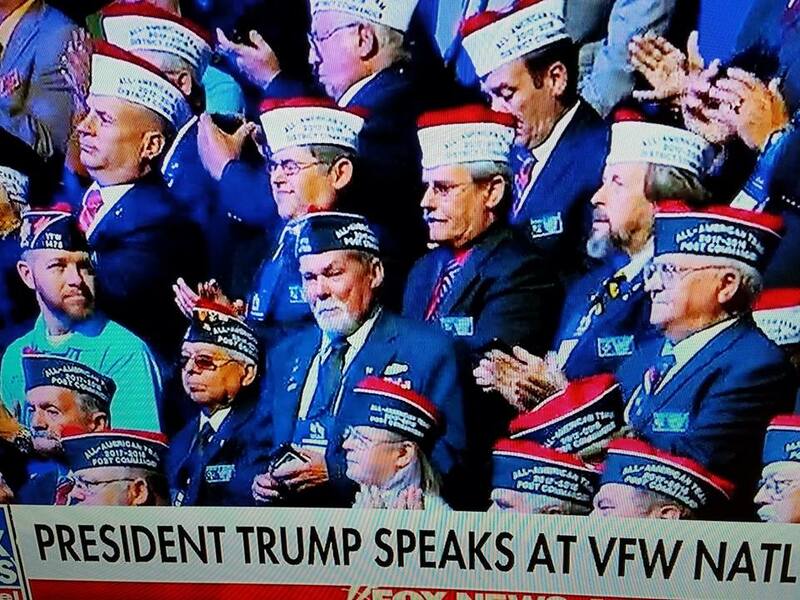 President Trump spoke at the VFW National Convention today in Kansas City. After encouraging a sing-a-long of Lee Greenwood’s “God Bless the U.S.A.” by veterans in attendance, he touched on a number of topics, including trade, national security and immigration. You ask why this made Montgomery County Police Reporter? 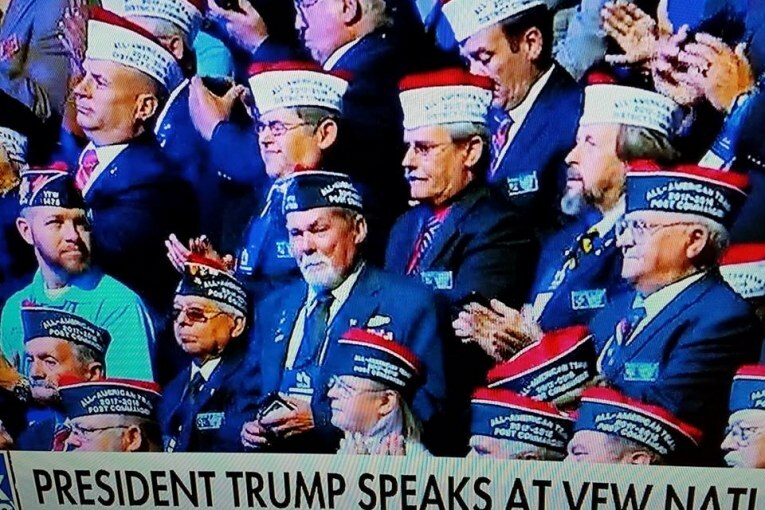 Well the reason is as Fox was airing it Conroe’s own Floyd Stewart who is the Commander for the VFW here has fought for our veterans for years was right there in the middle of the crowd. Stewart has done a remarkable job helping our Veterans in and around Conroe. Also during the convention the Conroe Post was recognized for their efforts during Hurricane Harvey. Stewart has done nothing but give to the community in all his years. This included serving in the US Army. an officer with the Houston Police Department, and Montgomery County Precinct 2 Constable. Previous : THE RODEO CALLS PAYMENTS TO PERFORMERS TRADE SECRETS?? ?